After a long wait for Persona 5, I can barely believe that it’s out and inside my PS3. While plenty of people are still waiting for the English localisation, other people like myself have bought the Japanese version to get a peek before the slow-approaching February localised release and/or to play it out of sheer impatience (I’m in both parties). Persona 5 has plenty of high expectations to live up to thanks to the generally high quality of Persona games and after playing Persona 5 for over 26 hours (at the time of writing), I think most Persona fans will be pleased with Persona 5 for many different reasons. 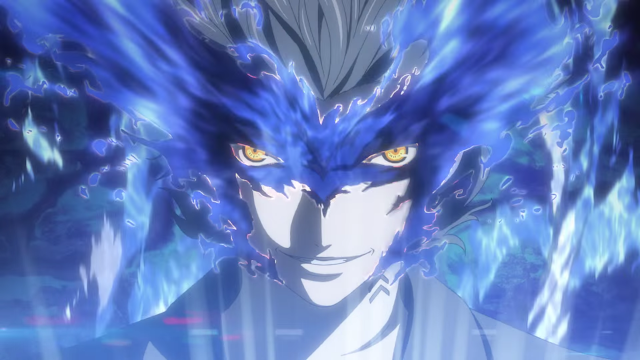 The gameplay, story, music, artwork and UIs shine in true Persona style and with every character design, transition screen and new game mechanic, it seems like a lot of love was put into crafting the incredibly fun JRPG that is Persona 5. If you're a Persona fan that’s missed changing Personas on the fly, Social Links or deciding what to do with your after school time, you’ll find all of this in Persona 5 in its finest form. For starters,, as Persona’s first complete main series addition on current gen consoles (the last release was originally on PS2), everything is significantly smoother and more stylish in Persona 5. From load screens to switching Personas, everything in Persona 5 is really fluid, making getting immersed in the gameplay effortless. I’m playing on PS3 and while I’m sure there are more load screens than the PS4 counterpart, all the transition screens are not only fairly short but also tend to be related to the area I’m in some way. Seeing people on the train passing by when commuting to school or the Phantom pulling down a curtain in the dungeon is that amazing attention to detail Persona excels at and makes me feel so much better than just looking at a blank screen between scenes. The 2.5D and animated cutscenes are a huge step up from previous Persona games and are much more in line with Catherine quality visuals than Persona 4 Golden. This vast improvement in visual quality acts like a fresh coat of paint for Persona 5, with all my favourite Persona mechanics still familiar but feeling completely fresh. 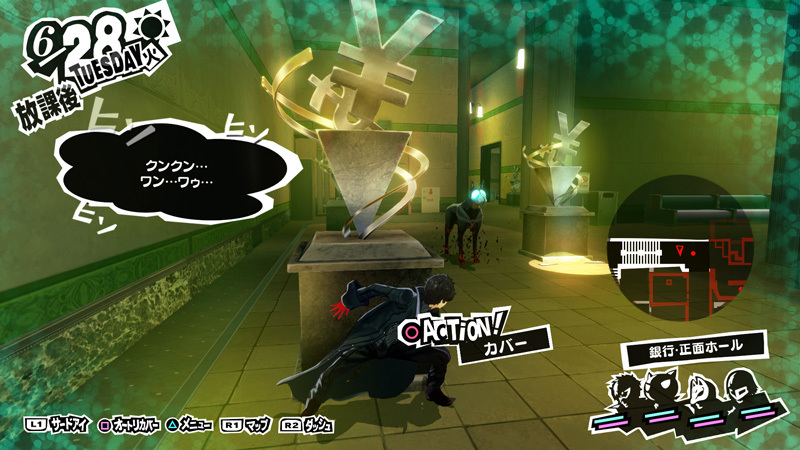 Gameplay in Persona 5 hasn’t only been upgraded visually. The added mechanics in Persona 5 are what really bring the experience to another level and while the original gameplay featured in past Persona games was already great, these changes add depth that take everything to a new level. My absolute favourite addition to Persona 5 so far is the Demon Negotiation in battles. 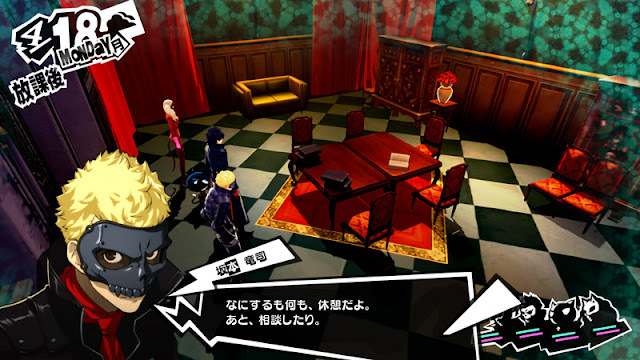 The choosing cards after battles from previous Persona games has been taken out and replaced by asking weakened enemy Personas to become your own Persona or to give you items or money through making the right dialogue choices, similar to Shin Megami Tensei. All of the demons have very amusing dialogues and trying to win them over really suits the social aspect of Persona all while adding a new layer of completing to battles. Other great additions to Persona 5 include being able to jump and sneak behind things in the expanded dungeons, with the sneaking around being a really fun way to catch enemies off guard. On top of this, I just finished the first dungeon and got presented with even more new mechanics to use and I’m sure there are more coming. Players can expect a lot to do and personalise your Persona experience with thanks to all of these enriching new features and I'm looking forward to finding more as I continue on my Persona 5 journey. A highly important part of any Persona game is story and while my understanding of Persona 5’s isn’t perfect thanks to my lower level of Japanese, I can say the theme and characters are compelling. As Persona 4’s bright yellows echoed the positive vibe and characters, Persona 5’s red theme is equally representative of the darker tone so far. Story events seem to be more sinister, with moments details in the story and the Velvet Room in general echoing this. Despite this, there are quite few appropriately placed humourous moments and exchanges, which I was pleased to see keeps true to Persona’s balanced high school life feeling, making Persona 5 digestible to players who started from Persona 4 and making the characters feel very real. Main characters are engaging thanks to their cool mix of teenage attitude and sense of justice against the antagonists, who are so far interesting with their outlandish personalities in dungeons and their moral corruptness in the regular world. 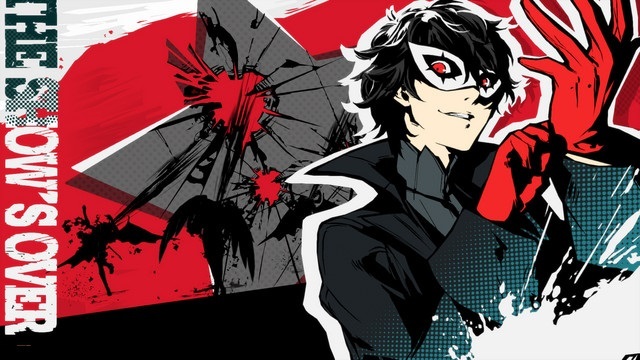 I really like the characters and the surprises the plot has presented so far and the good story pace makes things feel constantly exciting while still giving me the freedom to partake in the day-to-day Persona activities. Speaking of day-to-day activities, returning to Persona 5 are the fun part time jobs, reading books and making friends (social links) the Persona series is known for, all set in a huge realistic Tokyo with an overwhelmingly exciting amount of things to do. This is one of the aspects I definitely have a lot more exploring to do in, but I will say there are so many people to talk to, social links to find and small places to visit. My hardest decisions so far have been whether to follow the suggestions it gives me (such as visiting the library for the first time to find or checking out a famous restaurant), or to freely explore the modern Tokyo world and its vast amount of stores and people to talk to. It’s overwhelming in the best way and I can’t wait to make friends (social links) with all of the characters that I’ve seen around town so far. Credit also is due to the incredibly accurate portrayal of modern-day Tokyo, from the train announcements down to the slightly altered place names. Being in Japan, I feel a connection to the environment whenever I see somewhere similar to real-world Tokyo (the train stations are particularly familiar) and I'm sure others who have visited Tokyo may have this too. If you're waiting for Persona 5 to come out in English, there’s plenty to be excited about in Persona 5. As someone who has played Persona 3 and 4, the level of detail added to Persona 5 and the beautiful UI, detailed environments and put-on-repeat music are all cherries on top of great gameplay and story with a new brand new tone. I'm already gearing up to play the English version to understand the finer intricacies of the story, but from the gameplay alone, Persona 5 is worth the wait and must-try for all Persona fans and fans of high-school JRPGs. If you're playing Persona 5 in Japanese, what's your opinion of the game? 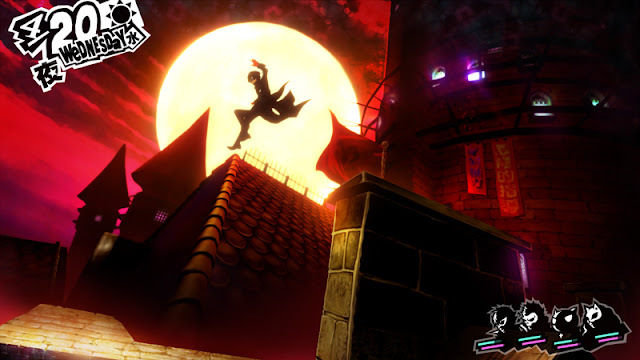 And if you're waiting, what are you most excited for in Persona 5?